Paddy Power (Click here to open account) is one of the best online betting site which offers comprehensive markets for Cricket, Football and other sports. It’s also one of the very few sites offering toss market for most of the Cricket matches. Someone on Betting Adda site asked me how to deposit money into Paddy Power using NETELLER. Instead of replying there I decided to create a detailed step by step tutorial for the benefit of all punters. As you might be knowing, I also wrote on this topic somewhere, that NETELLER has acquired skrill which leaves many Indian punters to rely solely on NETELLER as main eWallet for online betting. 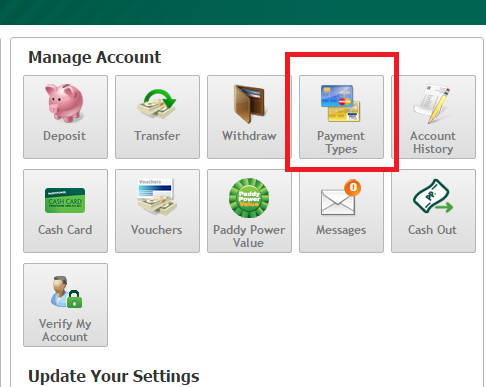 Follow these steps to deposit money into Paddy Power account using NETELLER eWallet. If you are using mobile phone to access Paddy Power then you will have to navigate to respective menus. 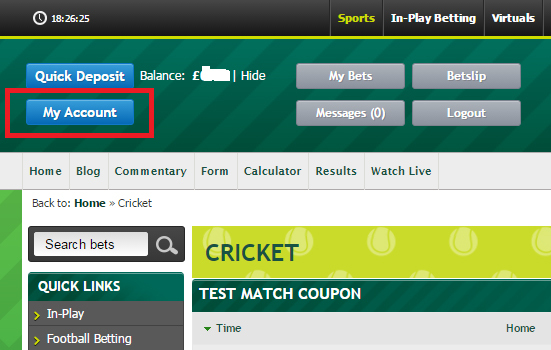 Login to your Paddy Power account and click on My Account from top left corner. From My account page click on Payment types option. Note that you shouldn’t click on Deposit option directly as it will present you default deposit option and will not show NETELLER deposit option. 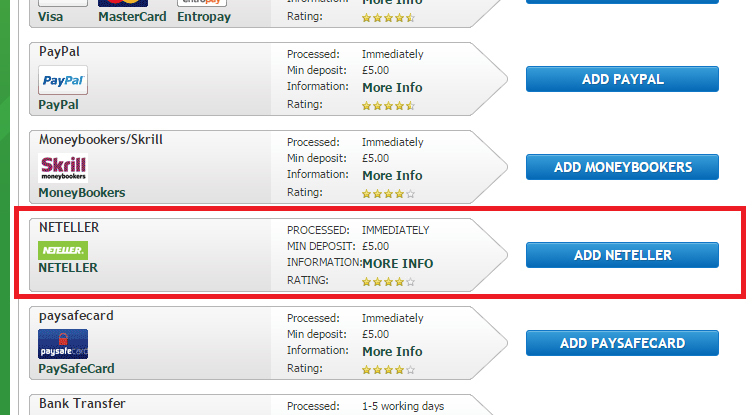 On Payment Types page scroll down to see NETELLER, click on ADD NETELLER button. On NETELLER page enter your NETELLER account ID/Email, Neteller Secure ID and select other options as appropriate. Click on Save Details and Deposit. That’s all. 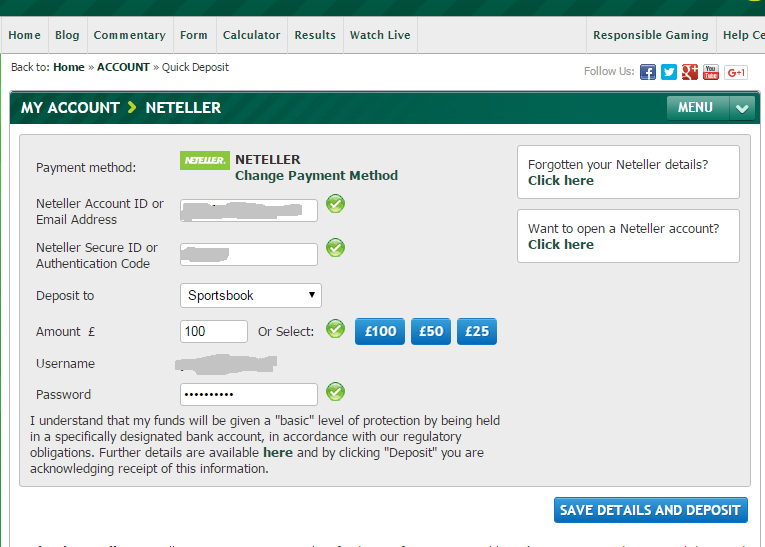 Once you have successfully added Neteller deposit option it will show on Deposit page. brother which currency is preferable for open a neteller account in india (INR OR EURO)???? The only online betting site which accepts INR is bet365(Click here to open account). For rest all of online betting sites you have to use any other currency. I recommend using USD as it’s more stable. Euro can get fucked up any time. They will continue to operate separately as such. Since BF exchange has no rival it will remain unaffected. All bookies are brother in arms so chances of arbs will become very difficult. However trading market will continue to be as usual. Bro you don’t need my help, just pay and take premium membership. You can talk to Mamu for payment methods. Thank you Munna bhai for replay.but how can i find mamu. please tell me. You can email him admin@bettingadda.com or chat with him live from live chat from the website. What Is Difference Between bet365 And Betfair? Which One Is Better? How To Open Account on Betfair From India?